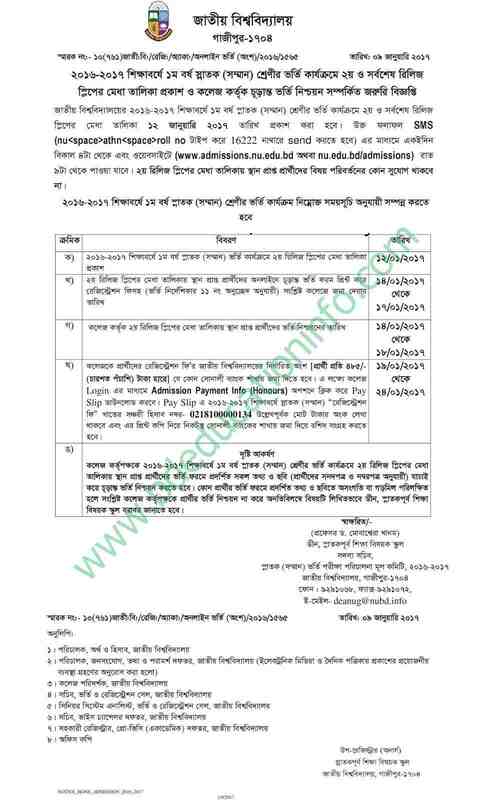 www Nu Notice edu bd published New notice about Honours 1st year Release slip Result today. Honoures First Year Release Slip Result will be published at 12 January 2017 at 4 PM. You can Get Your Nu admission Release Result by mobile SMS or Using Online. This entry was posted in National University Result, Notice and tagged national university release slip results by admin. Bookmark the permalink.